After being quietly listed for $50-million in 2013, the iconic home of the late Bob & Delores Hope has been reduced to a much more pleasing $24.9-million. 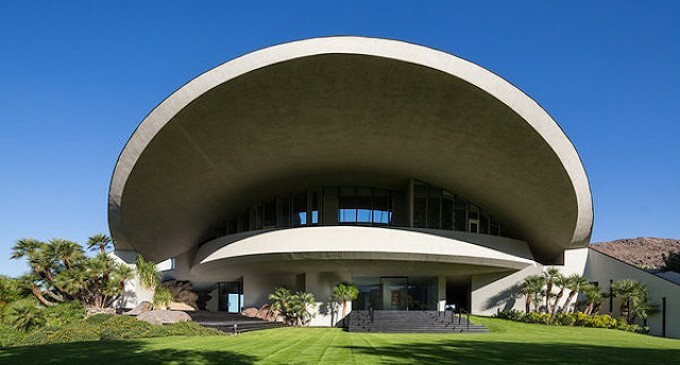 The 23,366 square foot masterpiece was designed by renowned architect John Lautner with construction spanning from 1973 to 1980. The finished product is nothing short of spectacular! At just over 23,000 square feet it’s said to be the largest private residence designed by Launter, and features 10 bedrooms, 13 bathrooms, and both indoor and outdoor pools. 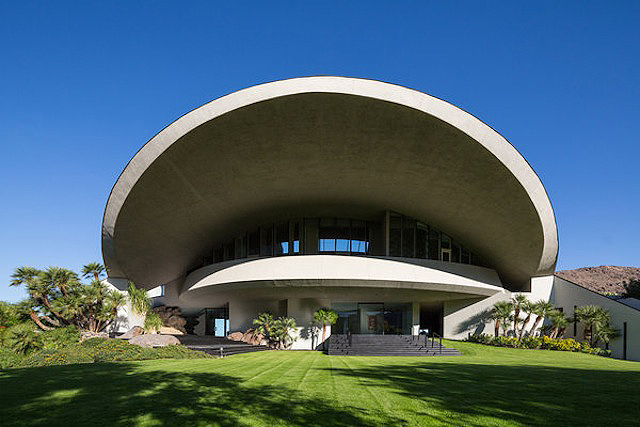 The home was designed to resemble a volcano with a stunning courtyard at the center opening to the desert sky. As for the $25-million price reduction, now’s the time to put an offer on this one-of-a-kind 6.18-acre celebrity retreat. It’s listed with Patrick Stewart Properties.